The line-up includes stories of lions, leopards, tigers and pumas. 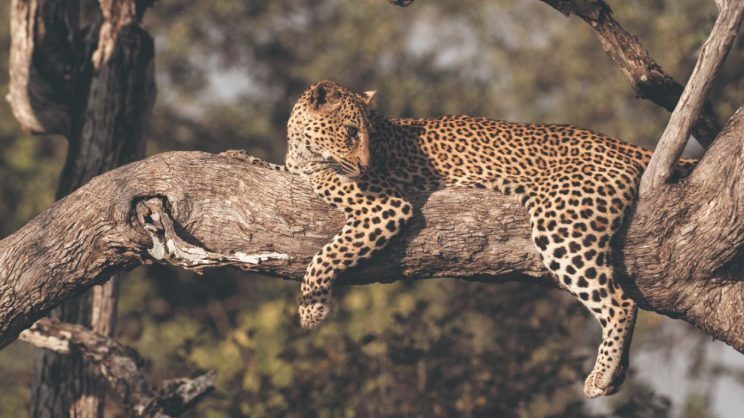 Nat Geo Wild’s ninth annual big cat event packs in five new premieres during February, featuring surprising behaviours and inspiring stories of big cats around the world. Every year the channel shines a light on these majestic creatures to remind people of their struggle and their importance in our world. The month starts with Dereck and Beverly Joubert’s Birth of a Pride which follows the extraordinary journey of lions returning to a reserve in Botswana as they grow from a single female and her cub into a fully formed, majestic hunting pride. Tree Climbing Lions is followed by Leopard Kingdom, which tells the tale of Karula the leopard, who ruled her South African kingdom for over a decade, and the struggles among her successors. Showcasing rarely seen behaviour in Man vs. Puma, host Boone Smith observes pumas hunting penguins in Patagonia. This global programme actively supports on-the-ground research and conservation projects to protect the planet’s top felines. For more information, visit NatGeoBigCats.org. In Selinda, Botswana, lions had been hunted to near extinction but, thanks to conservation, the number of lions has grown from two to over 60. Witness an incredible and heartwarming story of survival through the eyes of the lions that beat the odds. Follow six cubs as they navigate the world and learn to hunt, socialise and survive in the wilderness. Big cat biologist Alexander Braczkowski is on a mission. He’s got 90 days to count lions in Uganda and learn how the population is doing. But these aren’t ordinary lions. 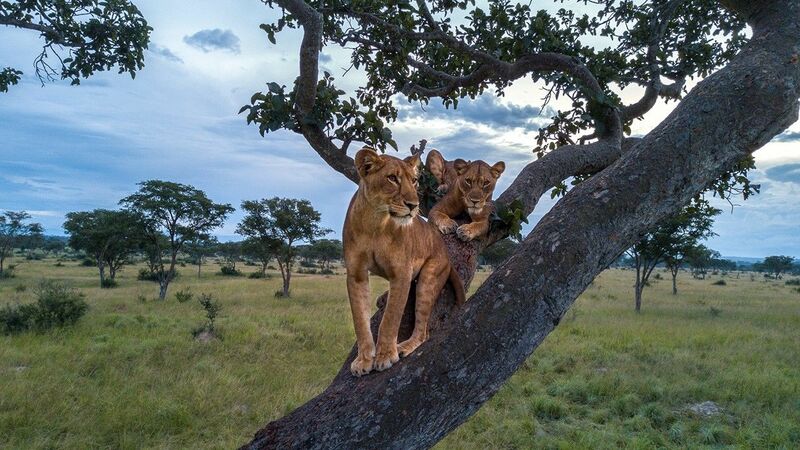 The prides in Queen Elizabeth National Park spend most of their lives up in the trees, a rare and mysterious behaviour unique to this part of Africa. On his journey, he’ll witness mothers battling the odds to raise cubs through their first year of life, and the threats tree climbing lions face as the human population expands. Alex’s experience will become more personal than he could have imagined, and he’ll learn that saving lions can be about much more than just counting the number of cats. Karula, the Queen of Djuma, reigned over South Africa’s Sabi Sand Reserve for over a decade. Throughout her rule she endured droughts, attacks on her territory, and staved off hunger. She had three suitors, six cubs, and five grand-cubs. Her kingdom was strong, but now she is gone. Between Thandi, Shadow and Xongile – three of Karula’s eldest daughters – a new queen will take the throne. But when an interloper finds his way into their domain and aims to take the throne for himself, will the sisters put family first? When a vicious fight with the male leopard results in her cub’s death, Malika must reinvent herself after the loss. In the battle to survive she faces dangerous enemies and must learn to hunt way outside her comfort zone. 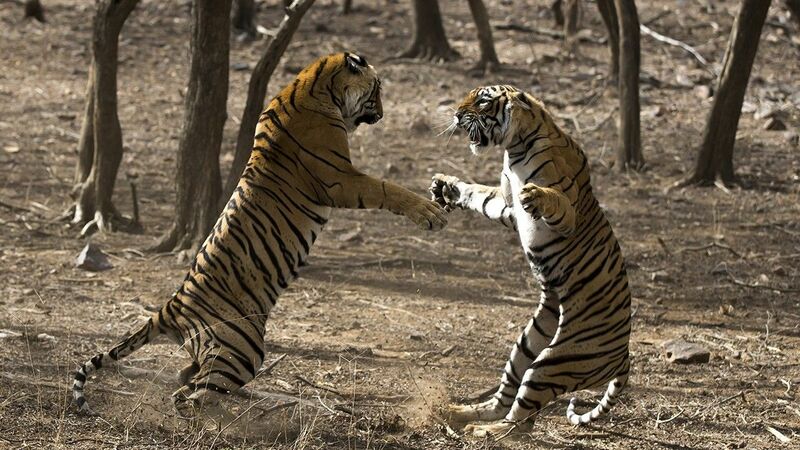 Two royal Bengal tigers in Ranthambore, India, are sisters, natural born killers, granddaughters of the most famous queen tiger in the world and heirs to her magnificent throne. They live in a paradise that is one of the last tiger sanctuaries on Earth. And they want only one thing: to remove their mother, destroy the other sister and reign supreme. This is their story. 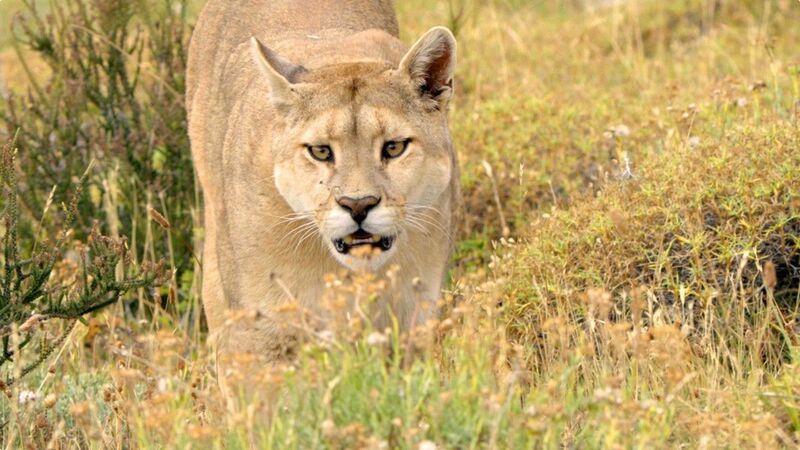 Big cat expert Boone Smith travels to Patagonia to observe pumas thriving in the wild under increased conservation efforts. The cats have not learned to fear humans, making this the one area in the world where people can observe their behaviour up close. Boone is fascinated to watch the pumas hunting penguins, an incredibly rare behaviour. The tables are turned when a big cat starts to stalk him and he comes face to face with a hungry mother on the hunt. The lion is the king of beasts but it is the lioness that is the real power behind the throne. She is 135kg of predator, part of a pride that forms family groups that work together to strike down prey and ferociously patrol the boundaries of their territory. The lioness will let nothing threaten her family’s rule. The land is hers to rule.